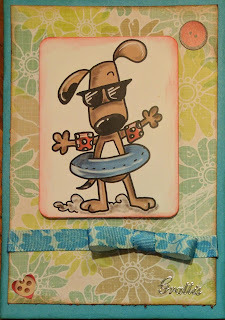 This cute dog celebrates a birthday at the beach and participates in these challenges: Catch the Bug (A Birthday Card for a Kiddo), Crafty Gals Corner (Add a heart), Tuesday Morning Sketches and Creatalicious (ATG). 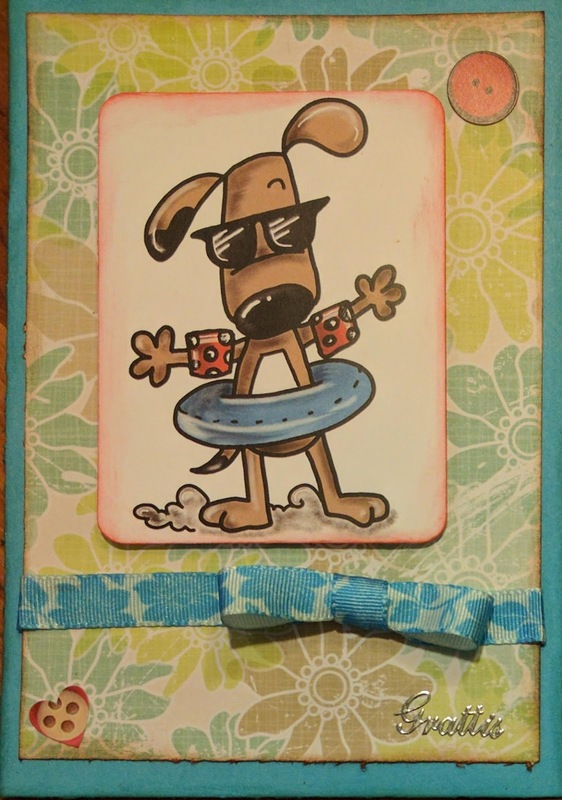 Love your card thanks for playing along in our Bugaboo Birthday Bash for Kids Card challenge! Such a cute image! Great job! Thank you so much for entering our challenge at Crafty Gals Corner Challenges this week. Be sure to join us next week too! So CUTE - the image is funny & adorable at the same time. Thanks so much for creating with us this week at Tuesday Morning Sketches! FUN card! He looks like he's definitely ready to catch some waves. Thank you for joining us at Tuesday Morning Sketches. This is so cute!!! I love your fun image! Thank you soo much for taking part in our "anything goes with optional Winter” challenge over at Creatalicious & good luck in the draw.